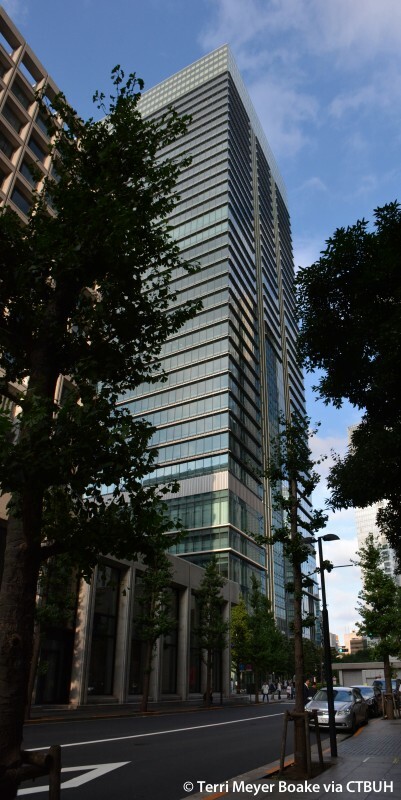 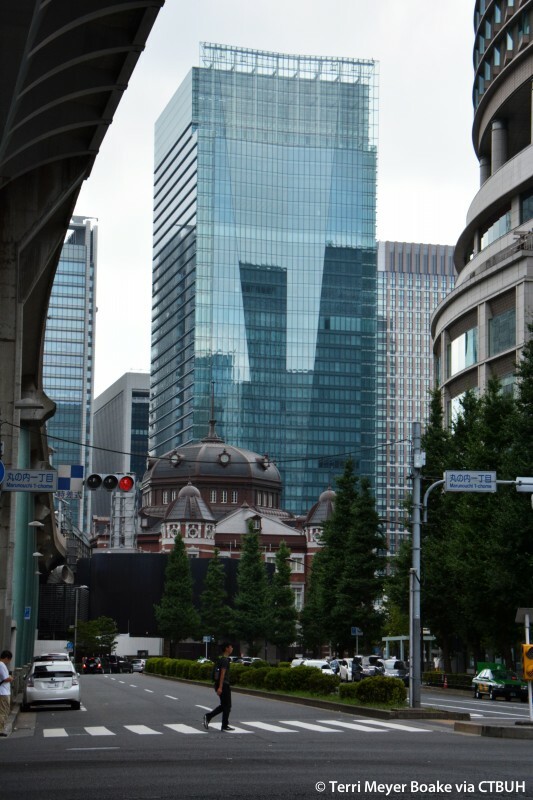 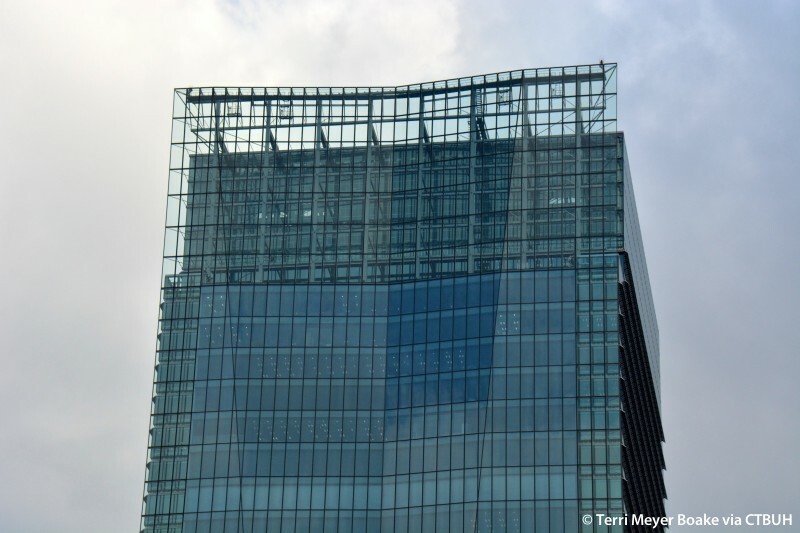 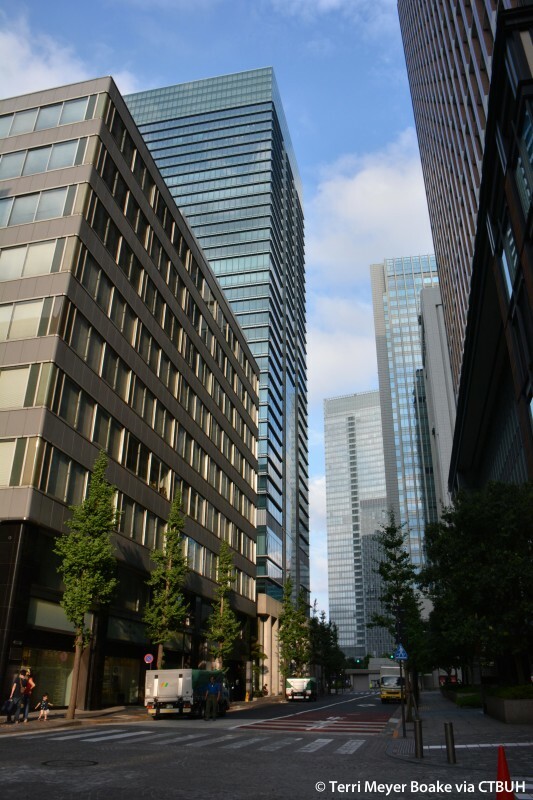 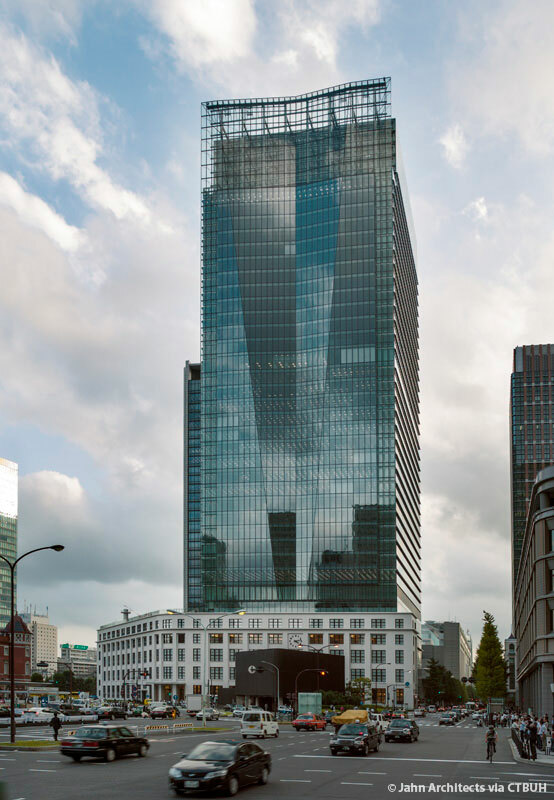 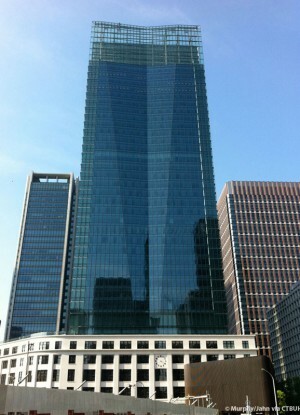 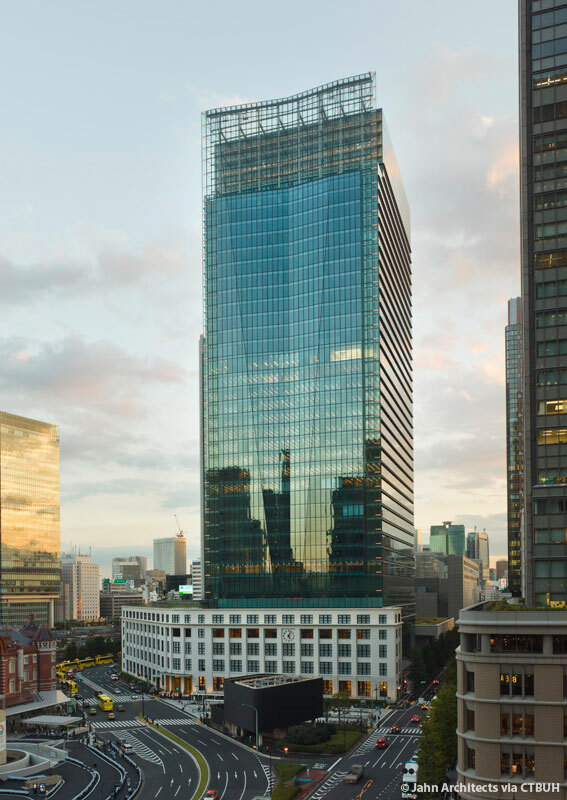 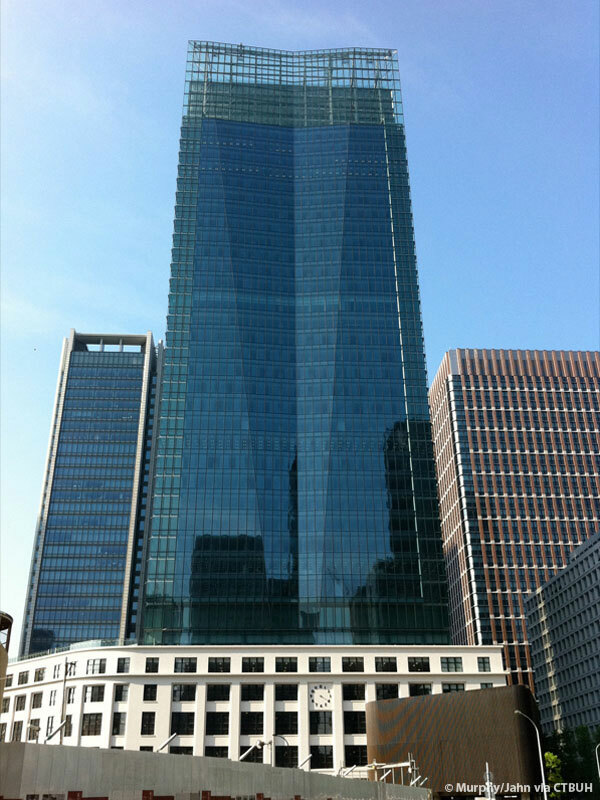 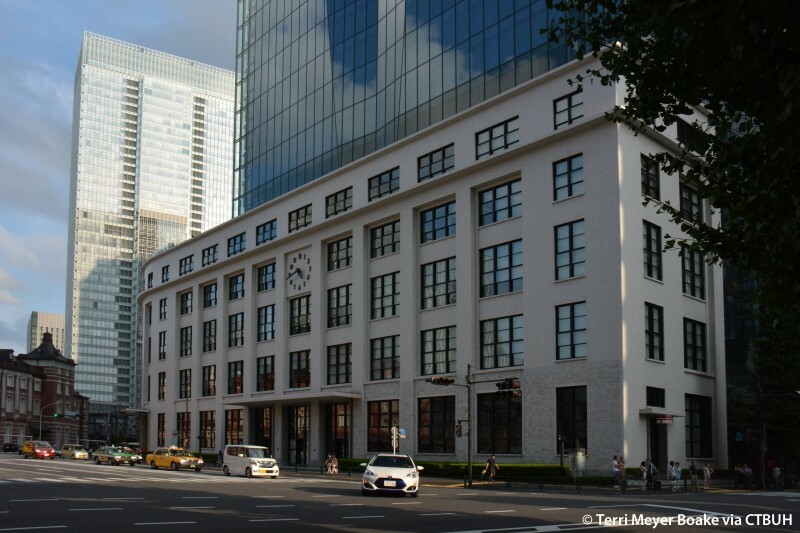 This new high-rise is built on, and adjacent to, the historic 1931 Central Post Office, next to the busy Marunouchi Station in central Tokyo. 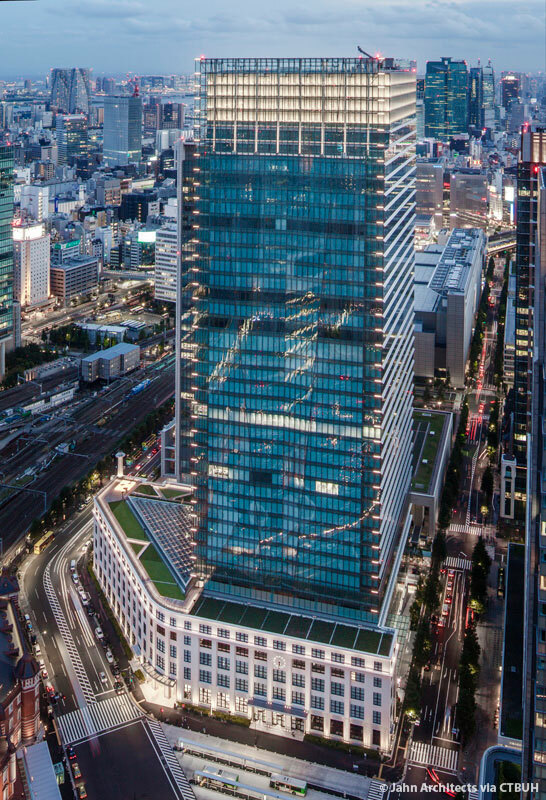 It incorporates the existing façade as the base of the building, creating a retail galleria, forming the interface to the urban scale of the adjacent plaza. 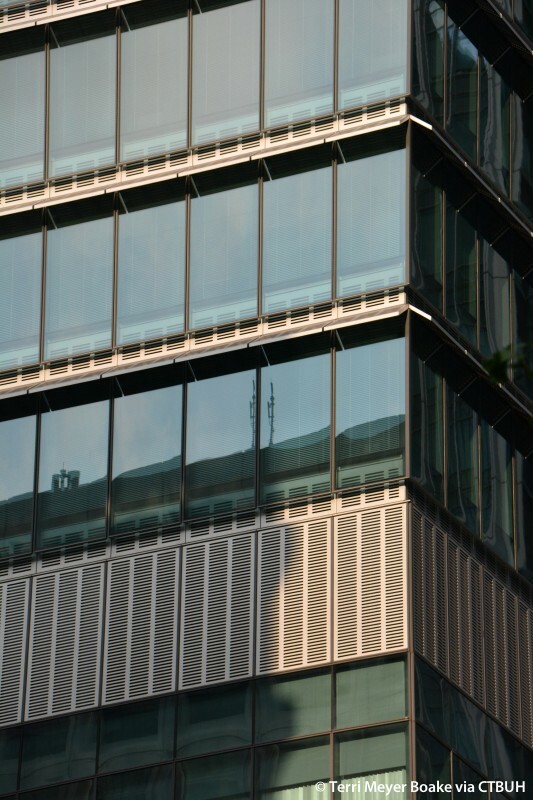 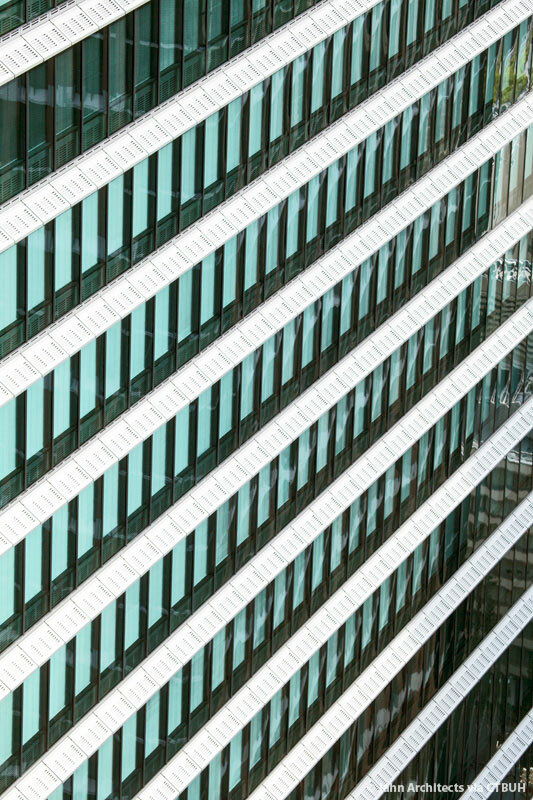 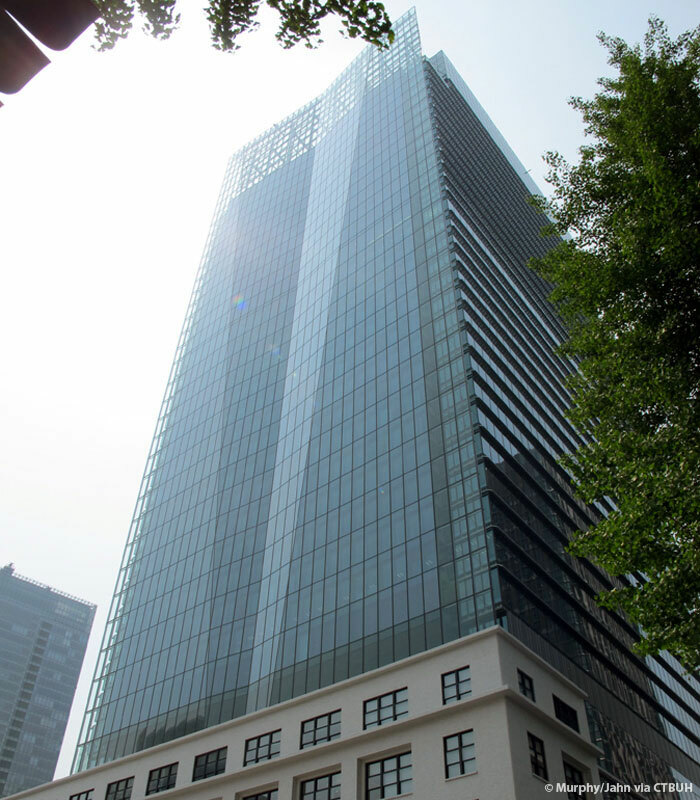 The tower integrates the lines of the existing building within its façade, creating continuity between the two parts. 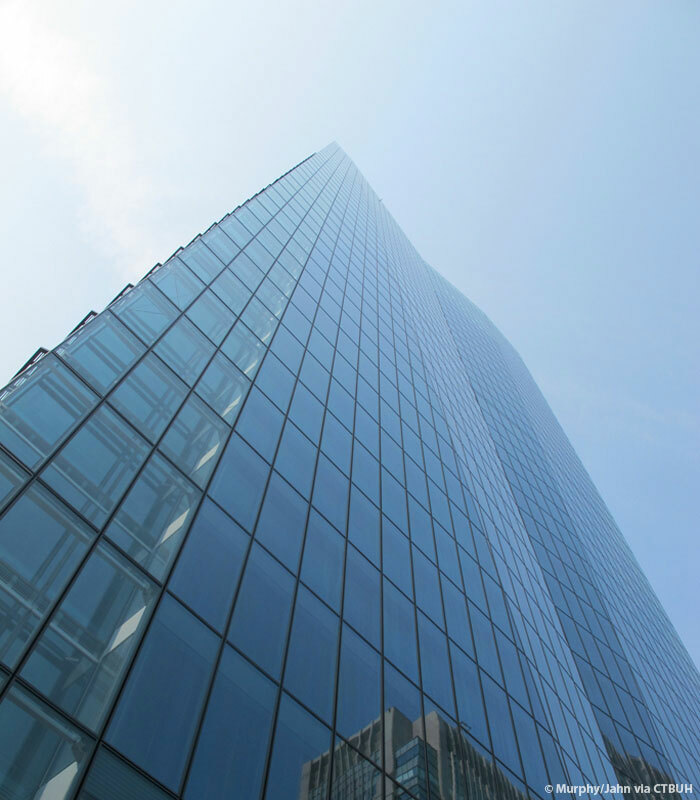 The tower employs a number of sustainable strategies. 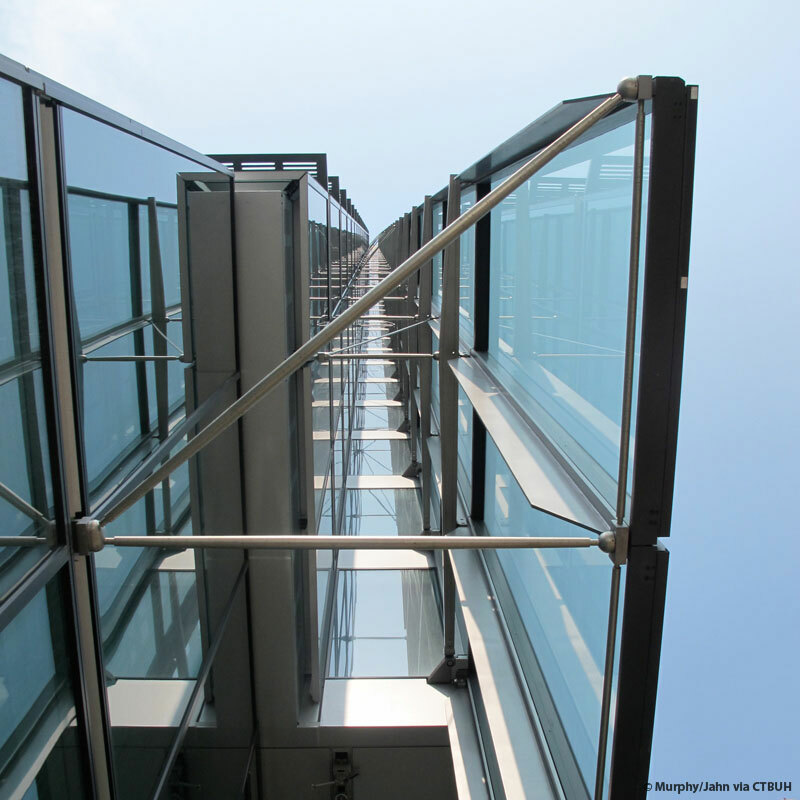 The team eschewed using a ceramic frit coatings on the atrium skylight glass panels, instead using photo-voltaic panels with 10 percent light transmittance. 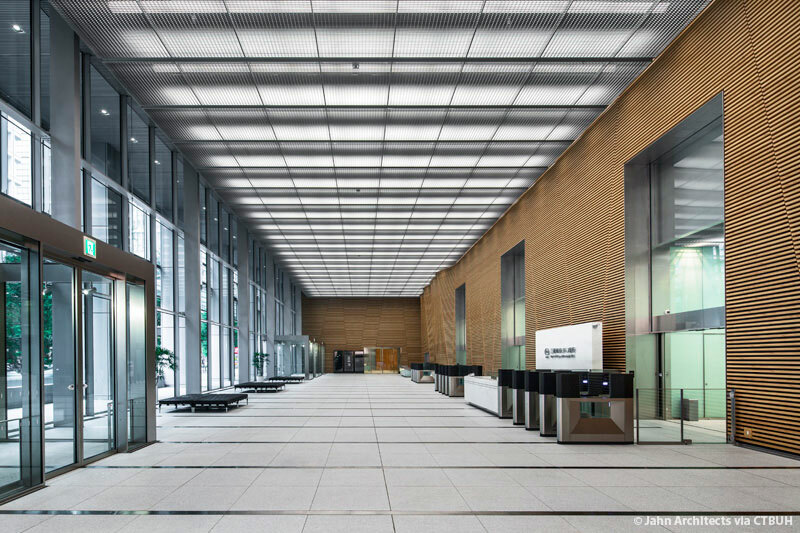 This move affords control of solar heat gain in the atrium, while absorbed radiation is converted into electricity. 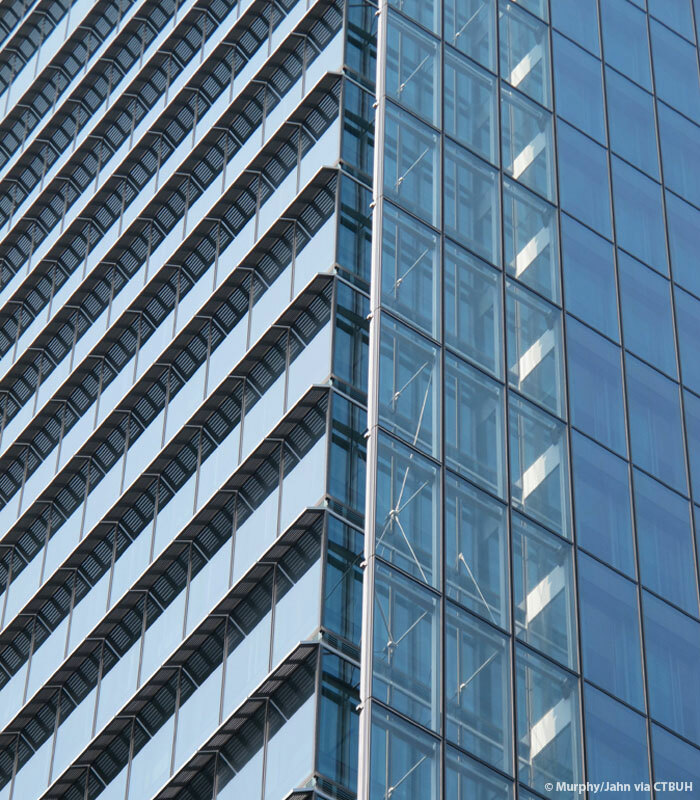 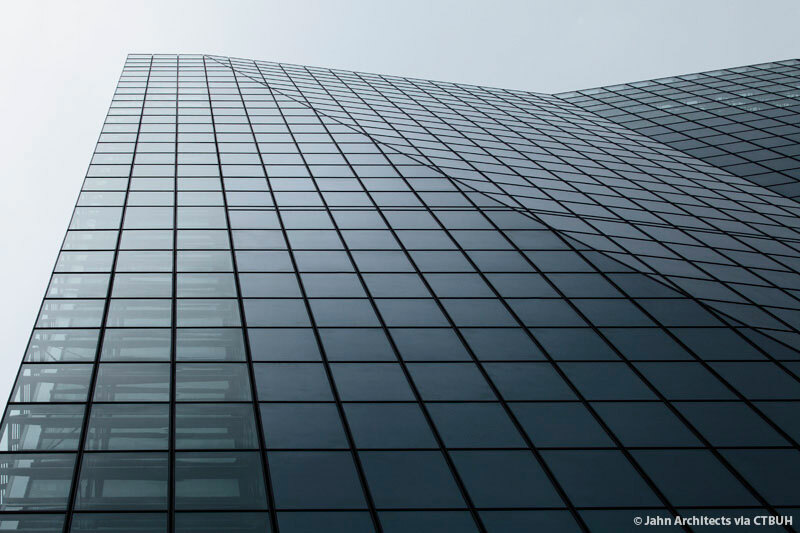 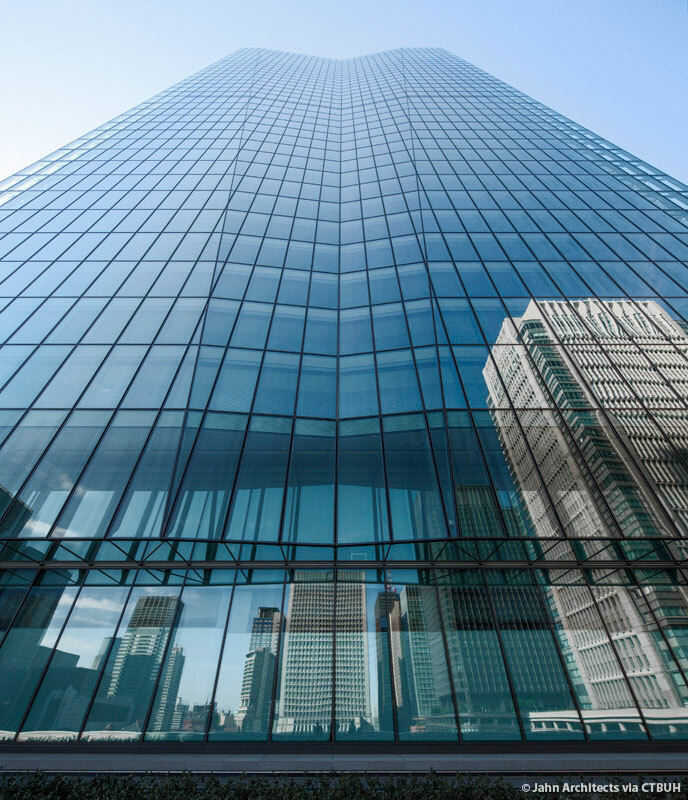 The high-performance building envelope integrates a triple-glazed ventilated cavity wall that reduces heat gain in warm seasons and heat loss in cooler seasons. 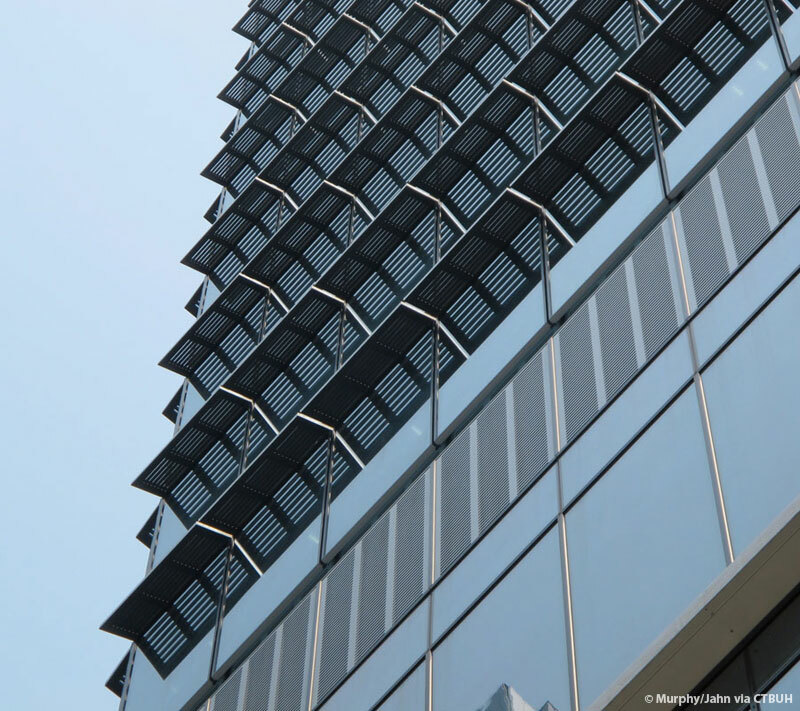 Automated sun shades are located within the cavity to reflect solar radiation and release the heat back into the cavity from where it can be vented out or maintained to reduce heat loss during the winter.